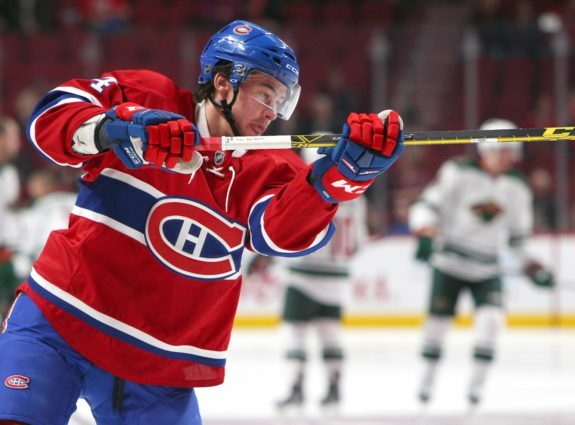 Do the Canadiens Have Room for Hudon? 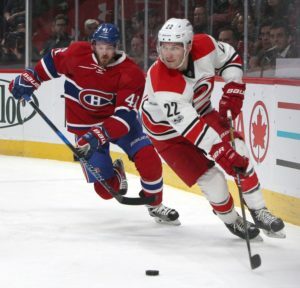 There are a legion of Canadiens fans who feel 23-year old forward Charles Hudon was ready to step into the lineup yesterday. Ya his name is Charles Hudon & he's wasting away in the AHL. The winger has 162 points in 207 American Hockey League appearances and is coming off back-to-back seasons where he’s finished second in points on the St. John’s IceCaps. This past June, Hudon signed a two-year contract that will be a two-way deal this fall and a one-way deal in 2018-19. There were some concerns among Canadiens fans that leaving Hudon unprotected in the expansion draft would make him ripe for picking for the Vegas Golden Knights. It obviously didn’t happen. Members of the Canadiens organization have raved about Hudon this off-season and say he’ll get a chance to make the roster. The question is, is there room for Hudon to thrive as a member of the Montreal Canadiens this season? Let’s just get this out the way now. You should know this, but Charles Hudon’s one-way contract simply means he’ll be paid the same amount of money — $650,000 — whether he plays in the NHL or AHL. He isn’t exempt from waivers, though, if he’s sent down to Laval in year two. As for year one, Bergen doesn’t have to run that risk. As of now, Hudon is off the roster. Max Pacioretty, Jonathan Drouin, Paul Byron and Arturri Lekhonen are the left wingers Hudon will have to somehow leapfrog over in order to even play, let alone stick around as a regular. Even if you move Byron elsewhere, you still have Andreas Martinsen ahead on the depth chart. The fact that the Canadiens have four left-wingers expected to earn regular NHL minutes will be a hurdle for Hudon. In order for Hudon to get consistent minutes, someone will have to move to accommodate him. One also has to account for injuries or for healthy scratches throughout the year. Hudon isn’t the only young player fighting for a spot. Daniel Carr, who has more games and points at the NHL level, also plays on the left side. Another experienced forward, Jacob De La Rose, waits in the wings — pun intended. Michael McCarron and Nikita Scherbak don’t necessarily play on the left side, but with a right side that could use some reinforcements, who’s to say the coaching staff doesn’t leap towards bringing one of those two players up instead? In any case, they’re all a part of the competition Hudon must face if he wishes to crack this roster. Hudon’s ice-time will play a factor if he makes the team as a result of the number of players on the left-hand side. Hudon hasn’t played more than 14 minutes a game, and has only played six — count ‘em…six — NHL games. Despite that, Hudon has four NHL points, including two primary assists, alongside secondary players such Andrew Shaw and Daniel Carr, just to name a few. It’s an extremely small sample size, but he has something to show in the limited NHL time he’s played. It’s enough to have whet Habs’ fans appetites for sure. But if Hudon shows he’s deserving of more ice-time, will he get it? Back in Boston, Claude Julien developed a reputation of favoring older players instead of younger guys. 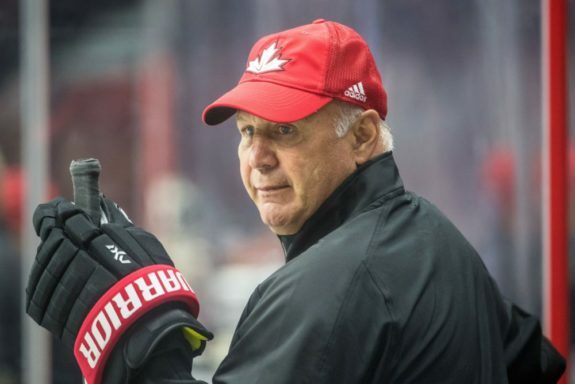 Julien showed patience with Alex Galchenyuk during the regular season before dressing him as a fourth-line winger during the playoffs. The magnifying glass will be on Claude Julien if Charles Hudon gets playing time this year. As young players like Ryan Spooner can attest to, Julien won’t have a problem electing to play veterans over Hudon if he feels his game isn’t sound. Hudon will get his crack at making the Canadiens’ roster. It will, undoubtedly, be one of the Canadiens’ training camp stories next month. However, there are numerous hurdles he must clear if he wants to spend more time at the Bell Centre than at Place Bell in Laval.